People are always asking me how to grow their Instagram accounts. I’ve grown my account from 500 followers to over 4500, organically in 3 months. I don’t believe in buying followers. Yes they are easy to find, and it seems like a miracle when you see that you can purchase 1,000 followers for $9.97. Don’t fall for it. Buying followers has its negative side effects as seen through the history of social media. The fake accounts don’t interact or engage with your content, depleting your social rank and showing your photos to less people. You can usually tell what accounts have succumbed to purchasing their way to the top. These are the Instagramers that suddenly become what I like to call “rock-star-status.” They grow at a rate of 10,000 followers (not realistic even for the top influencers) every day and have an engagement rate of about 2%. As perspective, accounts with legitimate fans usually have an engagement rate hovering around 10%. 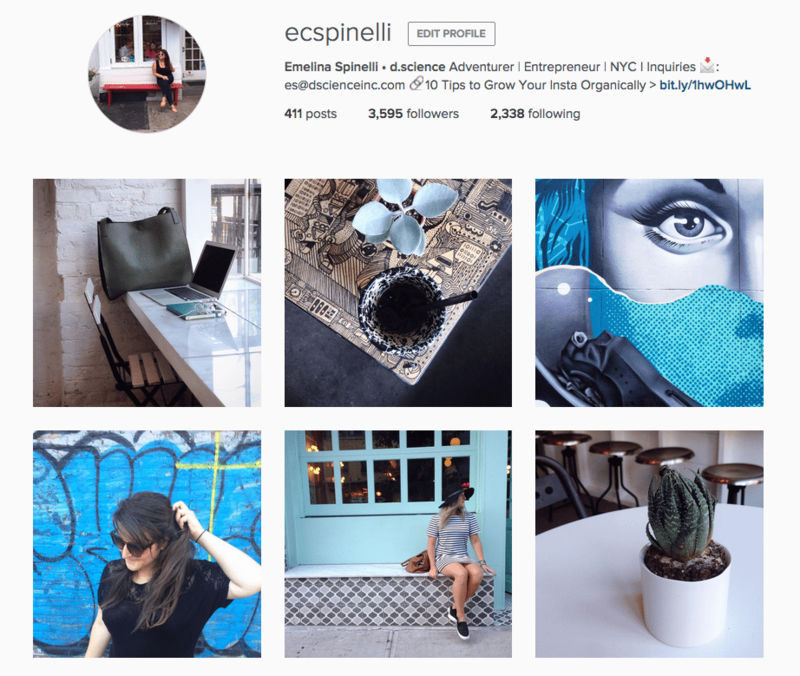 All Instagram influencers worth following have habits and tricks that they implement daily. From running my own account, and chatting with influencers, I’ve learned the secret list of habits. I know this tip is more than obvious, but it needs to be said. Don’t just shoot dimly-lit photos of your salmon caesar salads. Take the time to study the influencers and accounts that you find of interest. These are the accounts that you get trapped in. You know what I’m talking about. Their content is so magnificent that it inspires you to follow your desires. Every time I see a photo of Fiji, I start asking myself what my goals really are. Maybe that’s the Universe telling me to go to Fiji… anyway, moving on! Register the types of photos you most appreciate from them. After you decide what you like, you can set out to create your own mini Insta-photo-sesh adventure. Every artist has an influence or a muse. Snapping beautifully engaging creative photos makes you at least some sort of artist. Search for popular hash-tags related to the material in your Instagram account. Select a photo and “double tap” to like the photo. Continue scrolling and like as many photos as you can and you enjoy. Like 100 or so photos and then move on to another related hash-tag and do it all over again. When you show interest in other people, they will often give you their attention right back (unless their Insta-big-league players). Many times, when you go like someone’s photo, it peaks his or her sense of wonder and curiosity. In return, he or she take a look at your account. Subsequently, this leads to your attraction of more likes, follows, comments and engagement. Don’t know how to use hashtags or choose the best ones for your photos? I have a nifty ebook that you can get here: The Instagram Lover’s Guide to Hashtags. Find an account that has similar content to yours. Mosey over to their followers and follow 100 people from their account. If your accounts are similar, there’s a chance that their followers will appreciate your content. When you follow the followers of like-minded accounts (rather than a shotgun approach), you’ll find that about 25% of the followers will come back and like your page. This is an easy way to gain traffic to your already bombin’ account. (Preface… your account must delight the eyes to receive these sorts of celebrity benefits). Now, I’m all for giving out follows left and right. However, Instagram does have algorithms in place that allow your content to be seen by more people when your ratio of followers is lower. A good benchmark is to follow about half of the number of people that are following you. This is more important as you crest thousands of followers rather than hundreds. For example, if you have about 1,500 followers then follow about 800 people. 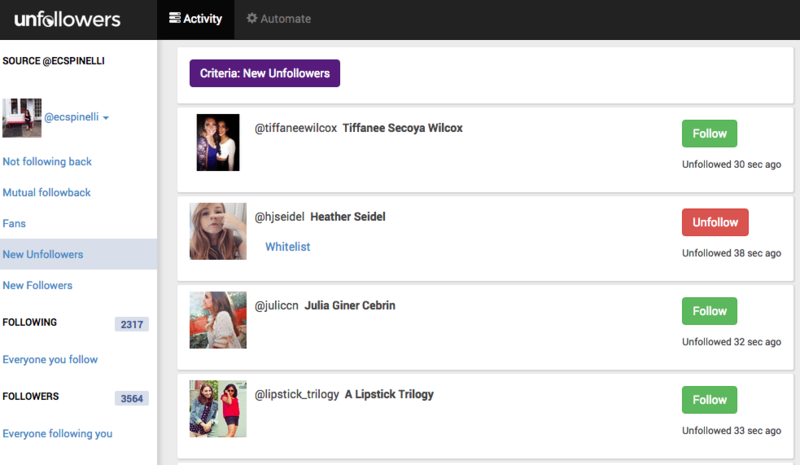 After a few days to a week, unfollow the people that don’t follow you back (unless you love their account of course!) This will keep your ratio at a favorable number for optimum visibility. Programs like Crowdfire and Followers or Unfollowers.me make this an easy step. Simply put, when people talk with you—talk back. Comments are not something to hoard. They are to be given out freely. Think of comments like “back-links” to a website. Someone could stumble on your comment on another account and travel back to discover your content. You could have the best photos and content in the world. Nobody will see it unless you have constant traffic to your page. An easy way to attain traffic is to comment, like and follow others. It’s the golden rule. You’re looking for engagement and respect? Then give it out freely! Commenting garners attention from the Instagram account on which you’re giving feedback. This type of behavior often peaks curiosity in other people. They’ll want to know who you are and consequently will check out your account, like your photos and maybe even follow you. You can easily comment as you stumble on awesome photos while you are using Instagram. Another easy way to pump out comments is to make them through Iconosquare. Search a hashtag related to your content and scroll through the images making comments. In your commenting process, remember to mention (@-tag) the person that took the photo. Say something thoughtful and useful. Don’t just say “nice pic.” Mention the subjects, color, composition, theme, the feed as a gallery, or a similar experience you’ve had. Every day I spend an hour or so interacting with my followers on my account. I’ll look through my recent activity several times every day and chat with people. If someone likes loads of my photos, I’ll return the favor. I’ll visit their account and like 5-10 of their photos and leave a comment or two for good measure. I know they’ll appreciate it because they’ve already expressed interest in my account. Take time to personally thank your followers for engaging with you—for liking photos, following you, or just for being awesome. People just want to be acknowledged. This small act of kindness goes a long way in building trust and rapport. Remember to respond to comments on your feed too! Hashtags are Instagram’s search tool. For instance, if you search #travel, every photo that comes up are photos that other users have deemed appropriate for this category by adding #travel to their photo descriptions. Instagram has a section in their “discovery” tab with current trending hashtags. Use those that are relevant to your feed or create new content related to the hashtags. For example, National Waffle Day was recently, and there were several trending tags: #nationalwaffleday and #waffles. If you had the ability to get a waffle, take a shot and put it up on your feed—then would have been a great time! Luckily these little fun challenges come frequently. Search in Instagram for hashtags related to the photos you create in your gallery. If you post coffees and lattes, then search those tags to get suggestions for other tags. 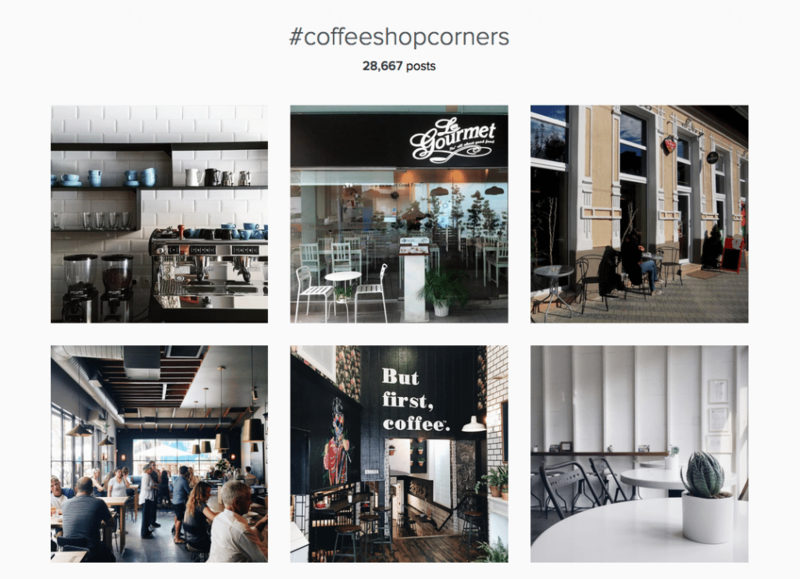 For example, when you search for #coffee, you’ll also find more similar tags: #coffeegram #coffeeshopcorners #coffeepiiics #coffeeoftheday among dozens of others. Use a mix of really popular tags (500k+ results) and less popular (5k+ results). Using a variety of trafficked hashtags gives you the best opportunity at being discovered among the “top posts” of the smaller feeds and “most recent” in the popular feeds. If you want a list of over 200+ trafficked hashtags, I included a list of killer tags, popular photo styles and a swipe file in the Hashtag Guide. Geotags are another type of search tool. You can tag the exact location where the photo was taken in your gallery. When people search by location, your photos will show up at the establishment. For example, I’m writing this article right now at The Bakeshop in Brooklyn. I added a photo of my account here, and tagged them as the location. 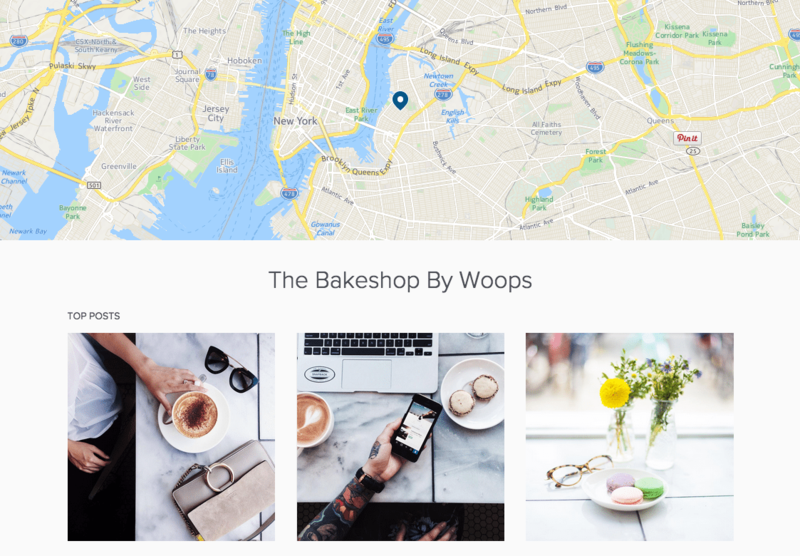 Today and onward, if someone searches for The Bakeshop in the location tab, my photo will show up on the location feed. The more popular the post is, the more likely it will float to the top of the feed. Tagging locations is like leaving a cookie-crumb trail for people interested in those locations to discover your account. This leads to more likes, follows and conversations. Popular Instagram influencers implement these among other daily habits. Success isn’t something that just happens overnight. It takes dedication and commitment. If you spend the time growth-hacking your account and providing the best photos that you can, success is inevitable. If you enjoyed this article, let me know! If you feel like your need the full, low-down on hashtags, then saunter on over to The Instagram Lover’s Guide to Hashtags. 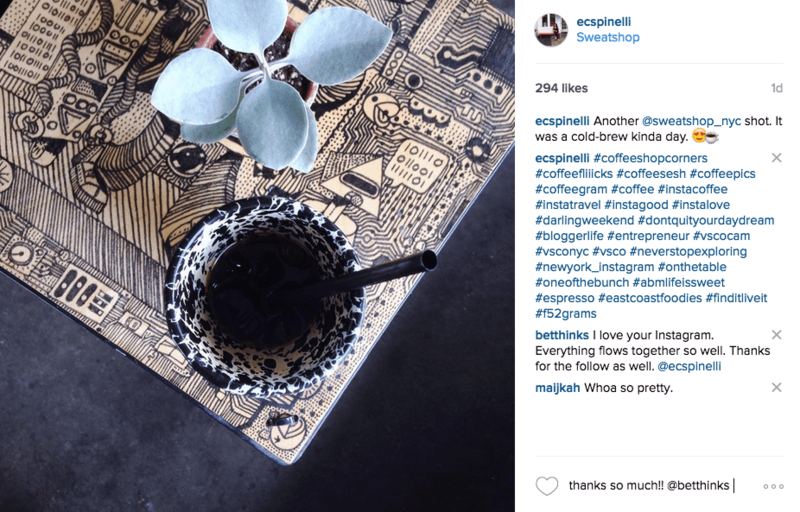 I did the research to get you the most popular hashtags frequented by Instagram influencers. It’s a 60+ page ebook chalk-full with loads of relevant hashtags, popular photo styles, photo inspiration, hashtag apps that I use, tips and tricks to grow your Instagram account (with hashtags). And it even comes with a hashtag swipe file with pre-organized hashtag groupings. Load the file onto your phone to make posting your tags a breeze. Do you have any other growth-hacking-habits that are worth mentioning? Let me know in the comments.